viruses carried over waters, over air. global agents turn travel threats. countries roast as earth-heat glow. shares blues of any family. Expectations create friction among members, extended or not. make willing refugees of different classes, races. lay adrift in their inside blues beyond a blue beyond. • **Allusion to Australian organisation dealing with depression across age groups and ethnicity. 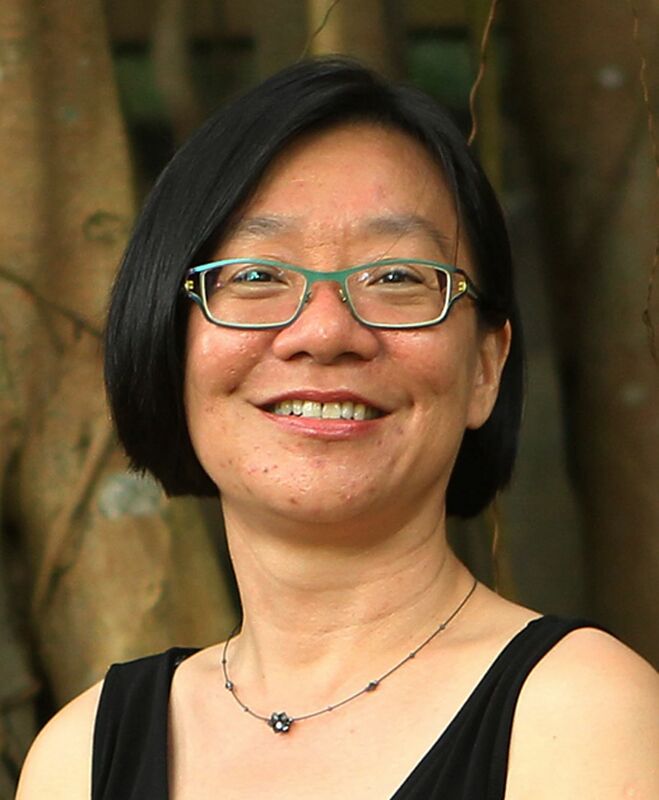 Heng Siok Tian wrote five collections of poetry: Crossing the Chopsticks and Other Poems (1993), my city, my canvas(1999), Contouring (2004), Is My Body a Myth (2011) and Mixing Tongues (2011). Her poems have been anthologised in publications such as Journeys: Words, Home and Nation, No Other City: An Anthology of Urban Poetry and Moving Worlds. She also wrote short stories and short plays. A Fellow of the Iowa International Writing Program in 2000 (on a NAC Fellowship), she has also participated in literary events in China, Denmark, France , the Philippines, United States and Sweden. Crossing the Chopsticks and Other Poems (1993) by Unipress, Singapore. The poet's first collection. my city, my canvas (1999) by Landmark Books, Singapore. This second collection includes poems from two manuscripts shortlisted for the Singapore Literature Prize in 1995 and 1997. Is My Body a Myth (2011) by Landmark Books, Singapore. The fifth collection of poems, and a tribute to the poet's mother, the single most important person and influence in her life. • Poet's note: The World Health Organisation identified mental illness as the big sickness of our new century. I am convinced too as I have noticed more students and working adults exhibiting signs of depression. Parents too are often overlooked for they need to project the perfect picture of being a functioning responsible adult. In fact, virtually everyone will experience a degree of depression at one point of their lives. While I do not know why and how to battle that, I recognise that it is very present. Each individual will have to make that journey, sometimes alone, sometimes not; sometimes briefly, sometimes for long nights.